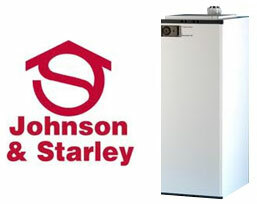 If you have a warm air boiler or a Johnson and Starley boiler we are the company that you need to be dealing with. SWN plumbing have extensive experience of installing and servicing Warm Air Boilers and Heting systems and have attended all the latest seminars on these products to keep up to date with all the latest specifications. If you have an old Johnson and Starley in your home there are brand new much more modern and more efficient warm air boilers that will save you plenty of money on your heating and gas bills – guaranteed. We can provide the very best service in Warm Air technology. Warm air heating systems are quick and easy to install, with installations taking from 1-2 days. This means a lot less disruption and a lot less mess for the customer. The range sets new standards in high efficiency condensing boiler technology. All models feature a Giannoni isothermic stainless steel heat exchanger and, for the HR28C model, full condense technology with it’s in-built passive flue gas heat recovery (PFGHR). Flue Gas Heat Recovery as standard. Aquair is a water to air heat exchange unit with a heat output of 10, 16 and 20kW (assuming a hot water supply of 80C is available). Available as either an upflow or downflow unit with modulating control incorporated. With a mesh filter fitted as standard, a Cleanflow electronic air cleaner being available as an option. The unit requires a supply of hot water at a minimum temperature of 80C. Water connections are top left or right handed through knockouts in the sides of the cabinet. Air is drawn in through the air filter or air cleaner (if fitted) and the heat exchanger by a centrifugal fan, and is discharged through the opposite end of the unit. An external summer air circulation switch (not provided) provides the facility to supply unheated air to the air outlets during warm weather. An external timer (not provided) will be required if it is necessary to set the periods of operation. Find out more at the Johnson & Starley website. When your air heater is operating on maximum load, all of the air within the dwelling passes across the air filter 6 times per hour. This presents the perfect opportunity to electronically clean the air and remove smaller particles such as pollen, mould and cigarette smoke. The Cleanflow principle is simple and highly effective. It works by polarising the filter media and thereby the particles are attracted to it. Any particles that are not caught by the media have no polarised charge, so will not adhere to soft furnishings or walls and will be caught on subsequent passes. The electronic screen is charged and in turn polarises the filter media. Particles are then attracted to, and captured within the media pads. Cleanflow will remove 95% of particles down to 1 Micron. The illustration below shows various particles magnified 1000 times.